Celebrity Gossip and Entertainment News: Kelly Clarkson's New Husband Cheating Already? 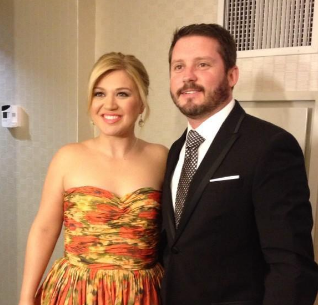 Kelly Clarkson's New Husband Cheating Already? Woman comes forward claiming she's been intimate with Kelly Clarkson's husband. From The Dirty Army: Nik, I wanted to submit this story to you because I didn’t know where else to turn. I like the idea of keeping myself anonymous, whereas any other media outlet would have jumped at publishing my name. I have a career and children to keep safe, so your site was my best option. Short and simple: Brandon has been cheating on Kelly (with me) for the past 5 months. We met at a golf club in TN and have exchanged multiple texts and hung out a few times over the last little while. Because his parents are music royalty, Brandon really thinks he is invincible and better than everyone else. I don’t even know why I’m saying any of this since my story isn’t that juicy. We haven’t slept together but we’ve been intimate in other ways. I really hope his wife keeps her eye on him because he’s not the great man that she thinks he is. I'm not surprised he cheated on his first wife. He married Kelly for the money. The marriage will not last long he doesn't even seem to be that into Kelly. Aww Poor Kelly. She seems like a nice girl. I hope this isn't true.